If you thought there was too much of Robyn in 2010, it doesn't mean Robyn will get rest next year. 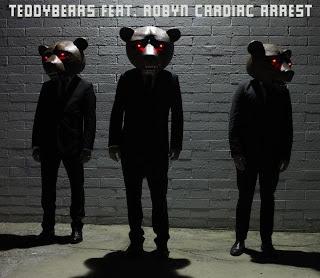 No, we don't have news about her own material for now but we constantly keep getting results of her collaboration with other artists and freshest example is single "Cardiac Arrest" released by Teddybears. Band constantly worked on Robyn's music before, also performing with her live so you're not gonna be surprised by sound of this single, it's pretty recognizable track you could find on one of previous Robyn's albums, so come and get that "Cardiac Arrest", not literally sure!